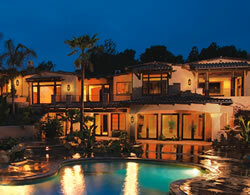 Luxury Homes for Sale - More and more baby boomers are seeking out the best luxury homes for sale. This is a fast growing segment of the housing market. The increase in “million-dollar” homes is a combination of the caliber of homes built in the last decade and the rising value of existing homes. Click on these links for related information and be sure to read about some of the options people look for in the article below. Affluent buyers usually get everything they want up front because extras can be more difficult and expensive to install later on. To avoid delays, subdivision builders keep upgrades to a minimum; but luxury buyers, whose homes take a year or two or more to complete, are given free reign to choose the most unique accessories. Be sure to visit our homes in progress page.